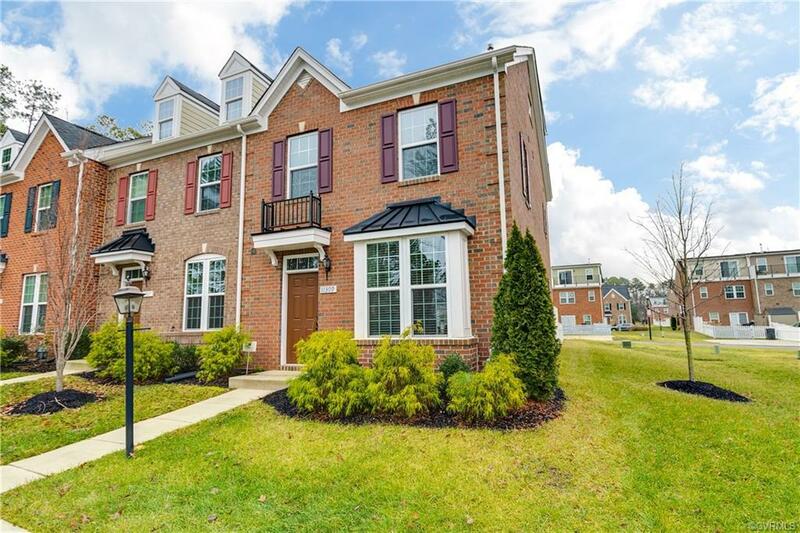 Welcome home to this low maintenance, brick end unit townhouse located just 5 minutes from the Short Pump Towne Center! Inside, beautiful hardwood floors greet you in the foyer and lead you into the large, sun filled living room w/ceiling fan. 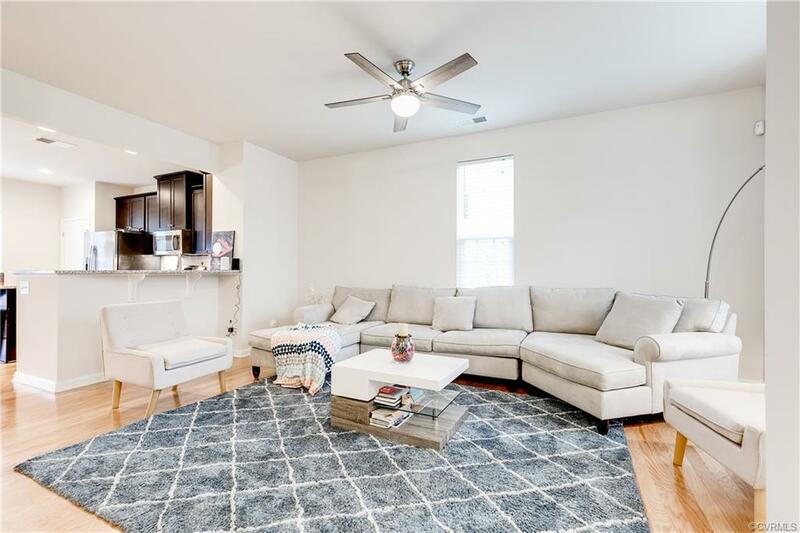 Open to the living room is the spectacular kitchen featuring a center island, granite counters, abundant cabinetry, stainless steel appliances, a backsplash, & a wonderful dining area! 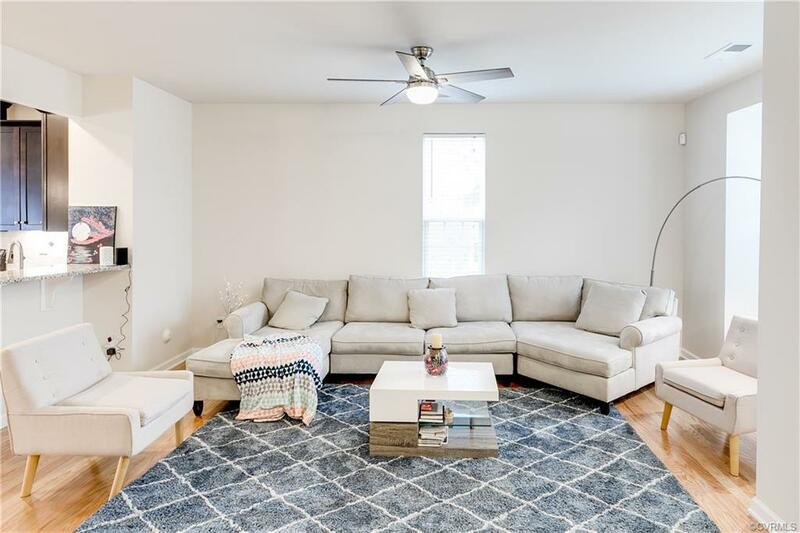 Upstairs, on level 2, you will fall in love w/the master suite complete w/plush carpet, ceiling fan, walk-in closet & an attached en suite bath w/dual sink vanity, ceramic tiled flooring, & a large, tiled shower! Directly across the hall you will uncover the 2nd large bedroom w/a nice closet & its very own en suite bath w/a tub/shower combo & tiled flooring. The washer/dryer completes the 2nd level. The 3rd level is awesome w/another bedroom -which would also make a great office, home gym, or rec room-& full bath, plus sliding glass doors lead you to your balcony! If outdoor entertaining is your thing, don't forget about your fenced-in back yard w/a paver patio that has a built-in fire pit! Contact RVA Home Team brokered by eXp Realty to schedule your tour!